Apart from web design and hosting, the maintenance of a website is very important. 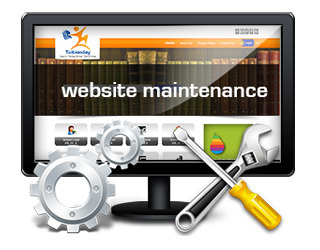 Website maintenance is an ongoing process and the website needs to be given timely updates. Based in Delhi NCR, Websitedesign.org.in works not only for website creation, but offers various services and packages to keep your website updated on the internet. We are renowned service providers of maintenance services with friendly and helpful team of support providers. Companies can sign a proposal of Annual Maintenance Contract (AMC format) or select from support and maintenance packages whereby a dedicated technical team works for their company website maintenance. Our company strives hard to solve every technical issue and provide your website optimum benefit through our support and maintenance team. For queries, contact our support team.